AIS opens one stop shop for customised solutions. 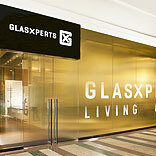 Asahi Glass India Ltd (AIS) has launched its first Glasxperts Experience Centre – under its new strategic business unit- Glasxperts, India’s first glass solutions brand. Located at Vipul Agora on M.G. Road, Glasxperts is a one-stop solution designed to give customers complete, customised and innovative glass solutions for homes, offices and commercial spaces. Spread across 3700 sq ft, the experience centre boasts an outstanding collection of innovative glass designs like glass rooms and walkways, glass door sliding systems, and glass shower enclosures. Moreover, Glasxperts has an expert team that is specially trained to adhere to the most stringent of quality standards ensuring customers get the best-in-glass experience right from idea to execution.